The most successful people in business approach their work differently than most. See how they think–and why it works. I’m fortunate enough to know a number of remarkably successful people. Regardless of industry or profession, they all share the same perspectives and beliefs. 1. Time doesn’t fill me. I fill time. Deadlines and time frames establish parameters, but typically not in a good way. The average person who is given two weeks to complete a task will instinctively adjust his effort so it actually takes two weeks. Forget deadlines, at least as a way to manage your activity. Tasks should only take as long as they need to take. Do everything as quickly and effectively as you can. Then use your “free” time to get other things done just as quickly and effectively. Average people allow time to impose its will on them; remarkable people impose their will on their time. 2. The people around me are the people I chose. Some of your employees drive you nuts. Some of your customers are obnoxious. Some of your friends are selfish, all-about-me jerks. You chose them. If the people around you make you unhappy it’s not their fault. It’s your fault. They’re in your professional or personal life because you drew them to you–and you let them remain. Think about the type of people you want to work with. Think about the types of customers you would enjoy serving. Think about the friends you want to have. Then change what you do so you can start attracting those people. Hardworking people want to work with hardworking people. Kind people like to associate with kind people. Remarkable employees want to work for remarkable bosses. Successful people are naturally drawn to successful people. 3. I have never paid my dues. Dues aren’t paid, past tense. Dues get paid, each and every day. The only real measure of your value is the tangible contribution you make on a daily basis. No matter what you’ve done or accomplished in the past, you’re never too good to roll up your sleeves, get dirty, and do the grunt work. No job is ever too menial, no task ever too unskilled or boring. Remarkably successful people never feel entitled–except to the fruits of their labor. 4. Experience is irrelevant. Accomplishments are everything. You have “10 years in the Web design business.” Whoopee. I don’t care how long you’ve been doing what you do. Years of service indicate nothing; you could be the worst 10-year programmer in the world. I care about what you’ve done: how many sites you’ve created, how many back-end systems you’ve installed, how many customer-specific applications you’ve developed (and what kind)… all that matters is what you’ve done. Successful people don’t need to describe themselves using hyperbolic adjectives like passionate, innovative, driven, etc. They can just describe, hopefully in a humble way, what they’ve done. 5. Failure is something I accomplish; it doesn’t just happen to me. Ask people why they have been successful. Their answers will be filled with personal pronouns: I, me, and the sometimes too occasional we. They’ll say the economy tanked. They’ll say the market wasn’t ready. They’ll say their suppliers couldn’t keep up. They’ll say it was someone or something else. And by distancing themselves, they don’t learn from their failures. Occasionally something completely outside your control will cause you to fail. Most of the time, though, it’s you. And that’s okay. Every successful person has failed. Numerous times. Most of them have failed a lot more often than you. That’s why they’re successful now. Embrace every failure: Own it, learn from it, and take full responsibility for making sure that next time, things will turn out differently. 7. As long as I’m paid well, it’s all good. Specialization is good. Focus is good. Finding a niche is good. Anything a customer will pay you a reasonable price to do–as long as it isn’t unethical, immoral, or illegal–is something you should do. Your customers want you to deliver outside your normal territory? If they’ll pay you for it, fine. They want you to add services you don’t normally include? If they’ll pay you for it, fine. The customer wants you to perform some relatively manual labor and you’re a high-tech shop? Shut up, roll ’em up, do the work, and get paid. Only do what you want to do and you might build an okay business. Be willing to do what customers want you to do and you can build a successful business. Be willing to do even more and you can build a remarkable business. 8. People who pay me always have the right to tell me what to do. Get over your cocky, pretentious, I-must-be-free-to-express-my-individuality self. Be that way on your own time. The people who pay you, whether customers or employers, earn the right to dictate what you do and how you do it–sometimes down to the last detail. Instead of complaining, work to align what you like to do with what the people who pay you want you to do. Then you turn issues like control and micro-management into non-issues. 9. The extra mile is a vast, unpopulated wasteland. Everyone says they go the extra mile. Almost no one actually does. Most people who go there think, “Wait… no one else is here… why am I doing this?” and leave, never to return. That’s why the extra mile is such a lonely place. That’s also why the extra mile is a place filled with opportunities. Be early. Stay late. Make the extra phone call. Send the extra email. Do the extra research. Help a customer unload or unpack a shipment. Don’t wait to be asked; offer. Don’t just tell employees what to do–show them what to do and work beside them. Every time you do something, think of one extra thing you can do–especially if other people aren’t doing that one thing. Sure, it’s hard. But that’s what will make you different. And over time, that’s what will make you incredibly successful. Now this is a story we don’t hear or read often enough. In a day where most news stories of our African and Latino American youth involve crime, lawlessness, athletics and/or music, we have a whiz kid who is bucking that trend. 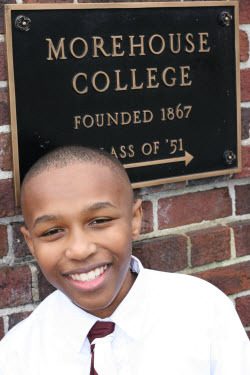 Meet Stephen Stafford: a 13 years old young man who is a triple major in pre-med, math and computer science at Morehouse College. This is truly amazing when you got some men twice his age who don’t even have a high school diploma! He loves playing video games and his drum sets but finds education just as exciting. 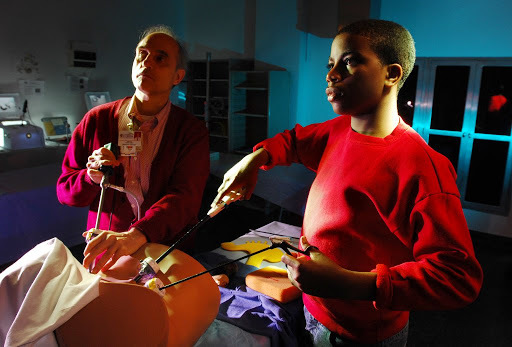 Home schooled by his mother, the mother realized when he was 11 that he needed to be in college when he started teaching her more things that she could teach her. Now this is a young man we need to embrace and uplift and use as an example to other young men and women that there is nothing wrong with athletics, music, etc but education is truly the ticket. And most importantly, that getting an education isn’t indicative of “Losing your blackness”. I’m sure we have had heard that at some point during our educational career. I know I have! He should be getting just the same, if not more, respect and honor than athletes and entertainers. So if you know any “Stephen Staffords”, male or female, take time to acknowledge them, uplift them and encourage other youth to follow his example! Sad news on the literary/entertainment front. Popular Author E. Lynn Harris has died while on a West Coast tour of his latest book “Basketball Jones”. He was 54. “Invisible Life”, “Just As I Am”, and “Basketball Jones” are my 3 favorite books from him. Wow. Totally sudden and unexpected. Check out this video below of E. Lynn Harris talking about how he got started writing, etc. Here is great story I read from another blog which has not once been mentioned in mainstream media. 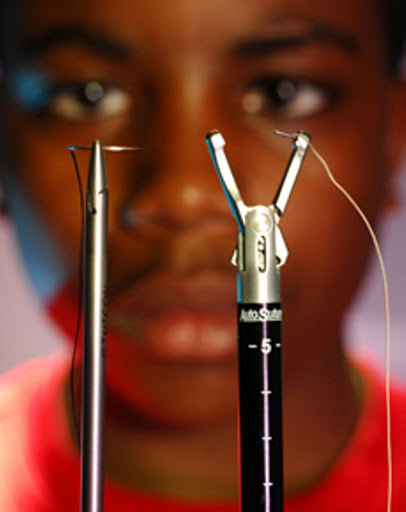 Tony Hansberry II is a 14 year old ninth-grader who has discovered a new technique for applying stitches to patients. Hey…he is definitely someone I would like to have as my doctor! You can read more on him here and here! 24 year-old entrepreneur Farrah Gray began contributing to his family’s financial support at the age of six. Within a few years, at the age of 14 he became a millionaire. Part of what motivated him to begin earning money at such a young age was watching his mother work so hard. 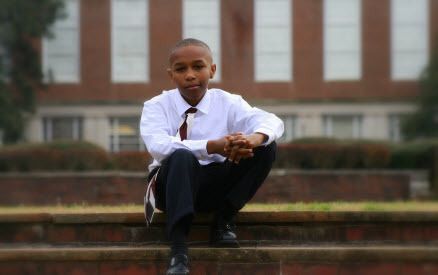 Gray was only eight years old when he formed the Urban Neighborhood Economic Enterprise Club (U.N.E.E.C.) on Chicago’s South side, an organization that encouraged youth to become entrepreneurs. U.N.E.E.C. was the forerunner of New Early Entrepreneur Wonders (NE2W), the flagship organization he opened as one of the youngest people on Wall Street. NE2W enlisted, educated and engaged “at-risk” youth by creating and developing ways for them to acquire additional income. 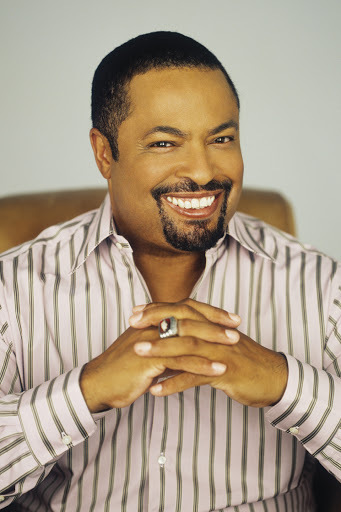 As a teenager, Gray founded and operated numerous business ventures, including selling pre-paid phone cards, a One Stop Mail Boxes & More franchise and creating Farr-Out Foods, which generated orders of over $1.5 million. Gray is now a syndicated columnist, an AOL Money Coach, co-CEO of a real estate company and co-publisher/editor-in-chief of Prominent Magazine. He lives in Las Vegas.